I love my brother's job. Yesterday marked the second time that he scored premiere invitations for me and Sarah, this time for Pixar's The Good Dinosaur. It's a public secret that I'm somewhat of a dino enthusiast, so I was of course over the moon to be able to watch Arlo's emotional adventure. A good minute of the trailer was enough to convince me that The Good Dino was very much going to be worth my while. The movie has been in the making since 2009 and was pushed back several times from its original November 27, 2013 release date. In the wake of Jurassic World's monstrous box office succes, Pixar decided to move Finding Dory to next year to capitalize on Dino-mania. What if Earth was never hit by an asteroid and dinosaurs never became extinct? That is, in a nutshell, the premise of The Good Dinosaur. 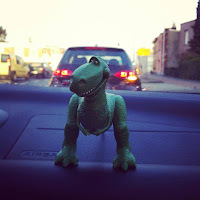 We meet Arlo, a young scaredy-cat'o'saurus Apatosaurus who is born into a loving family of agrarians. With his father, mother and sibligns all pitching in and doing their part on the farm, he is a bit of an odd duck, too scared and sensitive to really make a mark. When Arlo loses his father in a tragic accident and not much later finds himself far away from home, he has a long and daunting journey in front of him. As he tries to find his way back to the farm, Arlo befriends a human caveboy he names Spot, learning a lot about family, friendship and maturity along the way. 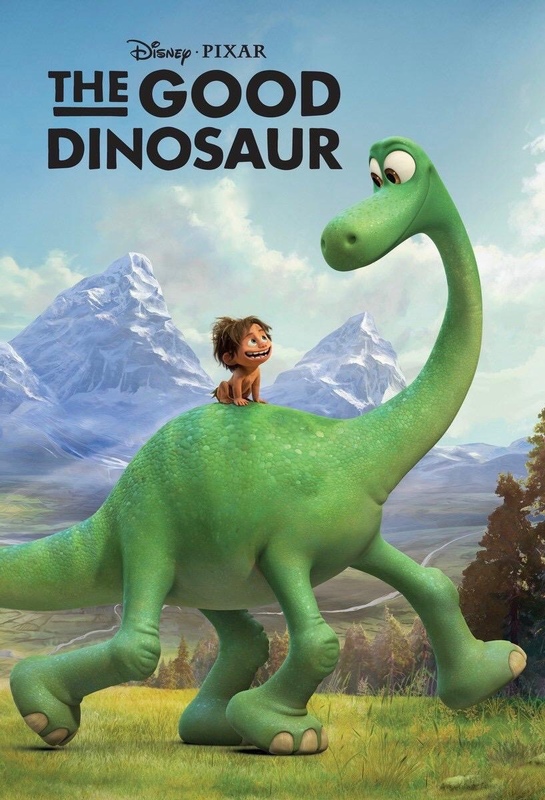 Sure, The Good Dino may be geared towards kids, but I still had a great time watching Arlo and Spot, taking in the photorealistic landscapes and seeing the movie's conventional, yet beautiful coming-of-age story unfold. In true Pixar style, The Good Dinosaur is visually breathtaking, emotionally powerful and fantasically captivating. That doesnt' change the fact, however, that director director Peter Sohn hardly reinvented the wheel here, falling back on conventions and derivating from The Lion King and How to Train Your Dragon, among others, to create a 100-minute heartstring tugger jam-packed with kid-friendly lessons and humor.